Half white leather with black and tan floral printed paper sides. Gold stamping on front and back. 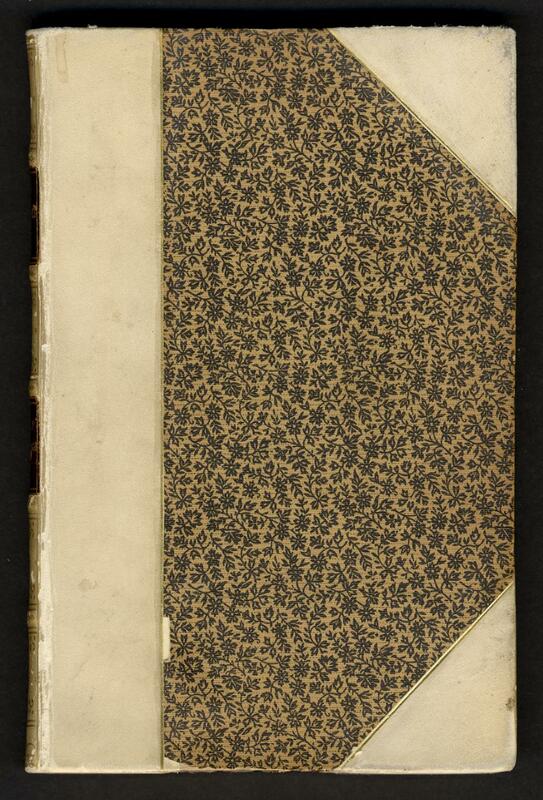 Paper onlay with gold stamping on spine. 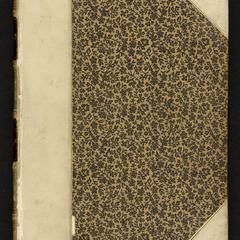 Endpapers printed with black floral pattern. All gilt.